Wait, there are new songs to be heard!? The Leicester Town Band has been practicing all Summer long to provide you all with the greatest musical sound! Because, like you will love to tap our feet to the beat! 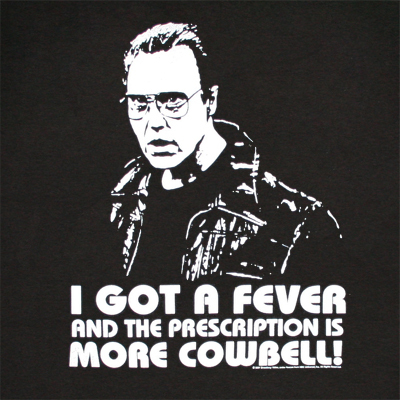 Recently, the band has acquired three new songs: More Cowbell!, The Beach Boys Greatest Hits, and Jurassic Park Theme. Personally, I enjoy them all! What about you? Who doesn’t like the Beach Boys! My favorite part is…well…all of it! I will post a sneak peak of More Cowbell! below. The others you will have to come and enjoy our performance to hear them!